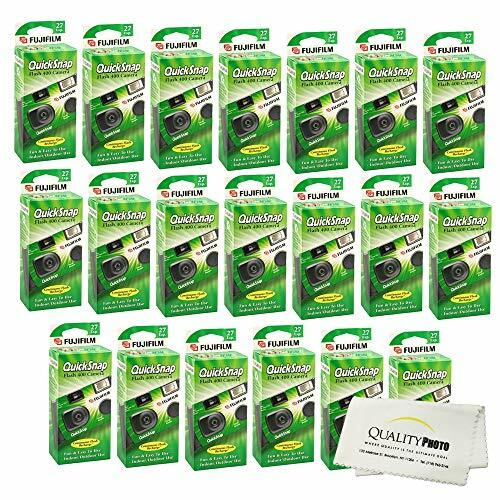 One-Time-Use disposable camera in a compact body. Fun and easy to use. Perfect for all fun occasions! This all-weather camera is ready for anything. It's ideal for shooting outdoors in wet and snowy conditions, and even operates up to 35 feet underwater! 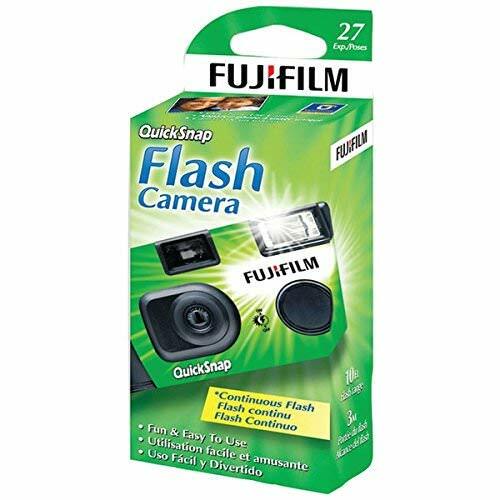 It comes pre-loaded with Fujicolor Superia X-TRA 800 35mm film, and has a larger-sized shutter release for easy operation. This all-weather camera is ready for anything. 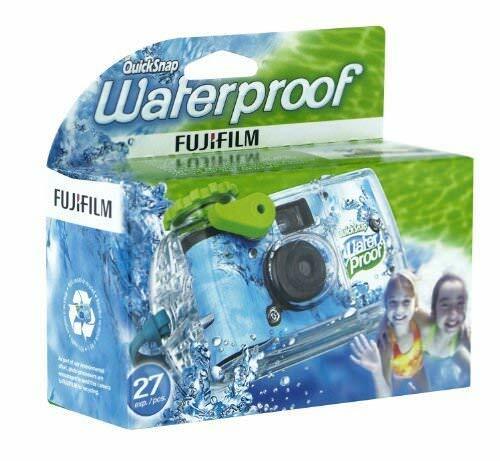 It's ideal for shooting outdoors in wet and snowy conditions, and even operates up to 35 feet underwater! Item #: FUJ7033661. Sometimes you just need a quick and easy camera to capture those special moments. 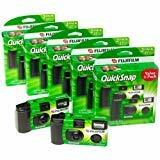 For those times, use this quick snap, one-time use camera. There's no time wasted on focusing or loading--just aim and shoot. 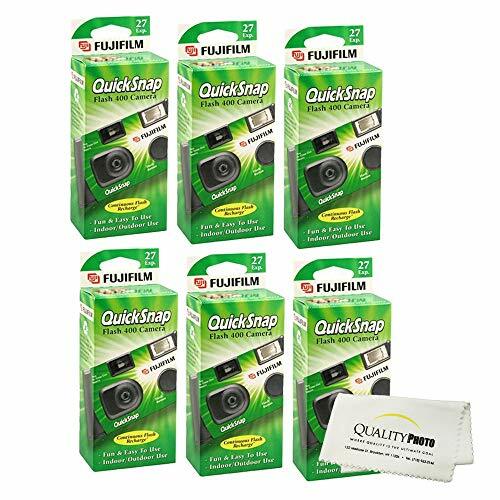 Camera provides good quality color prints, 27 exposures per camera. Each camera is preloaded with Superia, 35mm color Fujifilm for all lighting conditions. Film/Camera Type: 35mm; Image Sensor (megapixel): N/A; Focus/Zoom: Fixed; Exposures: 27. 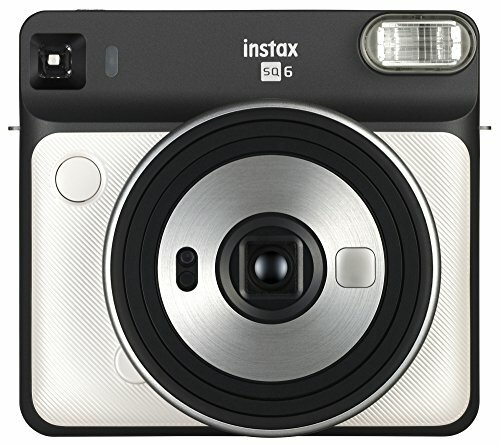 The Instax square Sq6 is the first Analog instant camera within the Instax square lineup. 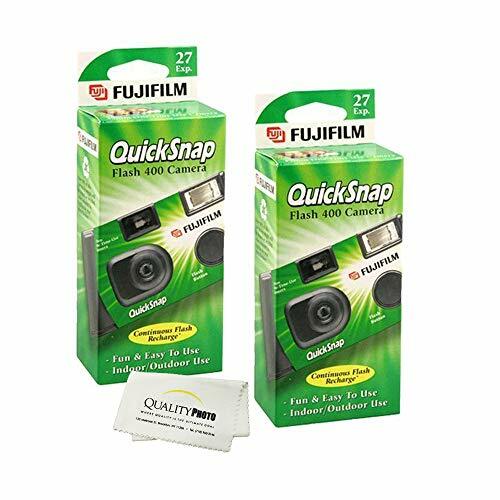 It is the perfect tool for users who want to be creative and use instant photos to express themselves and their everyday moments on a square film format. 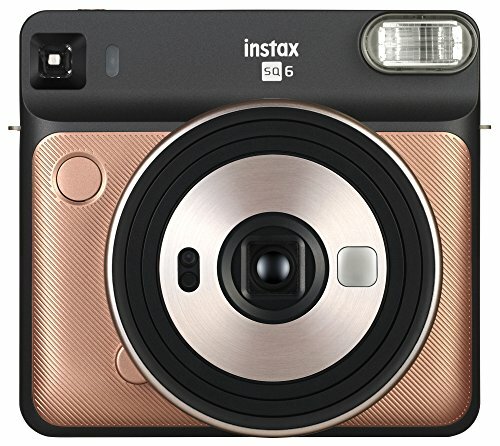 The 1: 1 square format Instax square Sq6 captures the beauty in each and every moment, so that you can cherish those memories for a lifetime. With square format, there's no need to waste a precious moment deciding whether to capture it in portrait or landscape - just pick up the camera and snap. 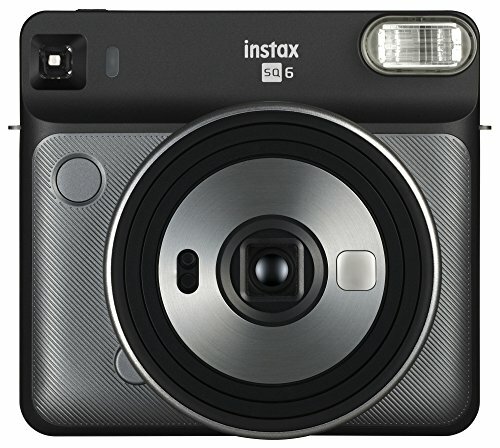 And at 1.5x the size of Instax Mini prints, there's plenty of room to set the scene. 1: 1 square format. 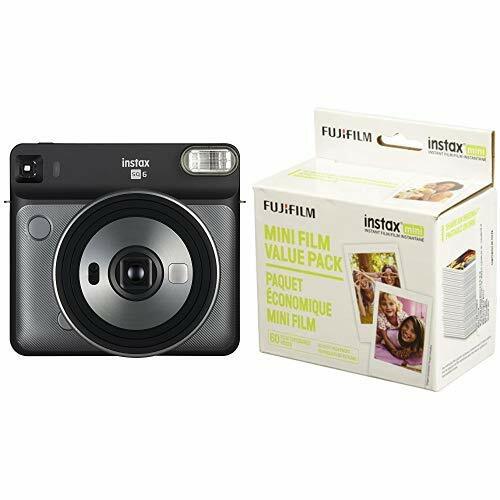 Use Instax square style film. 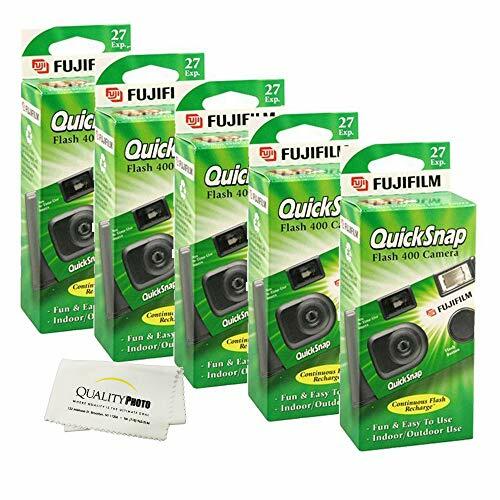 Auto exposure control - the high performance flash automatically calculates surrounding brightness and adjusts shutter speed. 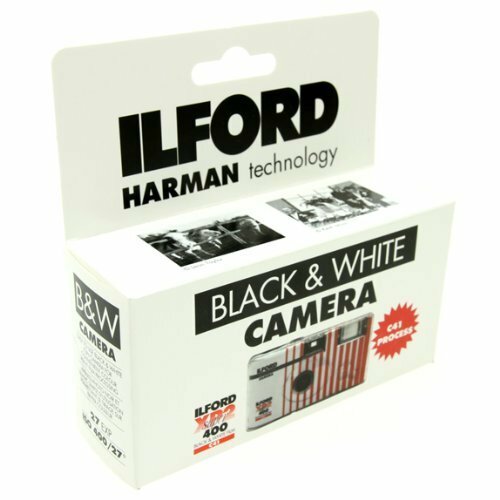 Includes 3 Color Filters, orange, Purple and Green, that can be fitted over the flash to add Color to your photo. 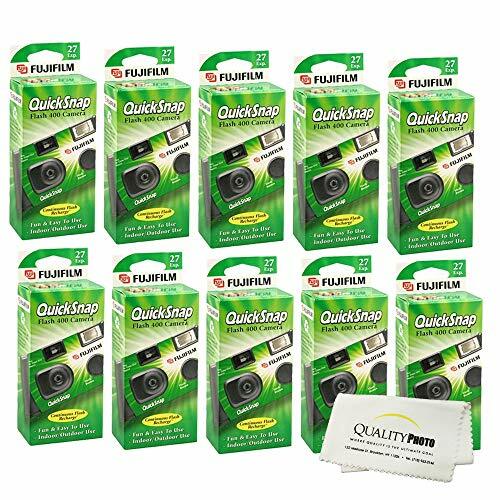 Enjoy your camera to the max with no worry of keeping it clean! This one-time-use camera is perfect for any age and occasion. You use and abuse and enjoy clear great quality pictures! Its compact body keeps it easy to carry around and use. Built-in 10-foot flash created clear pictures indoor and outdooralike. It is fun and easy to use. 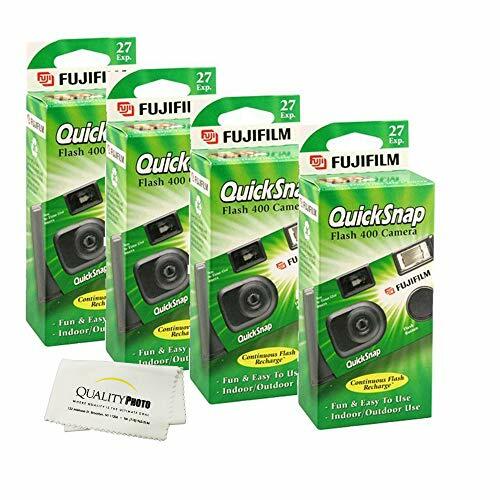 Loaded with Superia X-TRA 400 film, 27 exposures (8 Packs) Bonus included! 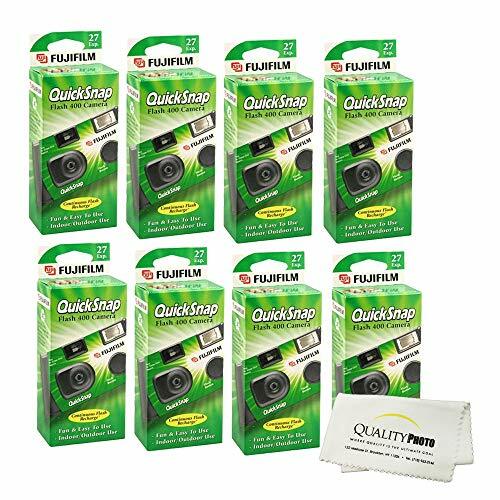 Quality Photo Ultra Soft Microfiber Cloth. Enjoy your camera to the max with no worry of keeping it clean! This one-time-use camera is perfect for any age and occasion. You use and abuse and enjoy clear great quality pictures! Its compact body keeps it easy to carry around and use. Built-in 10-foot flash created clear pictures indoor and outdooralike. It is fun and easy to use. 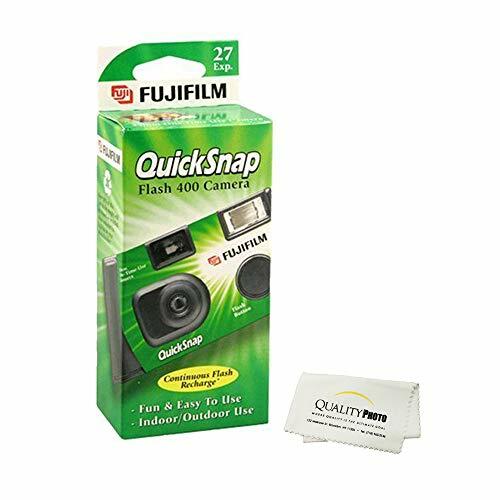 Loaded with Superia X-TRA 400 film, 27 exposures (10 Packs) Bonus included! Ultra Soft Quality Photo Microfiber Cloth. 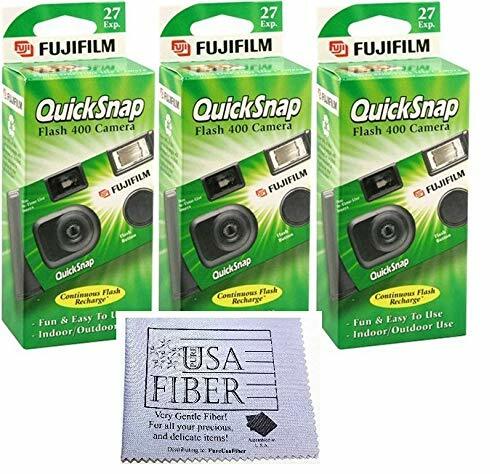 (3 Pack) One-Time-Use disposable cameras in a compact body. Enjoy your camera to the max with no worry of keeping it clean! This one-time-use camera is perfect for any age and occasion. You use and abuse and enjoy clear great quality pictures! Its compact body keeps it easy to carry around and use. Built-in 10-foot flash created clear pictures indoor and outdooralike. It is fun and easy to use. 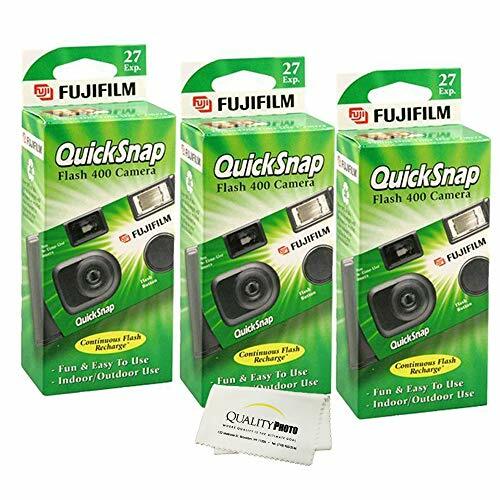 Loaded with Superia X-TRA 400 film, 27 exposures (20 Packs) Bonus included! Ultra soft Quality Photo microfiber cloth.